Taekwondo, the Korean art of self-defence, was first introduced to Canada in 1964 by Grand Master Chong Lee, 9th Dan, in Montreal. 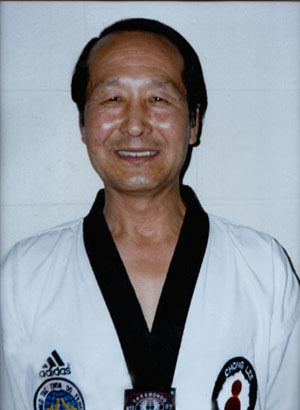 Since then, its popularity has grown steadily and has spread throughout Canada and many other countries.Since his beginnings, 40 years ago, Grand Master Lee has trained more people in the sport than anyone else in Canada and is responsible for the development in the Technical NCCP program which has drastically increased the performance of our national & international competitors. Master Lee visits Prince Edward Island twice annually to ensure the highest level of instruction is provided to it’s athletes and members. Taekwondo is one of the most systematic and scientific traditional martial arts, that teaches more than physical fighting skills. With it’s origins in Korea, it is a discipline that shows ways of enhancing our spirit and life through training our body and mind. Today, it has become a global sport that has gained an international reputation, and stands among the official games in the Olympics. The word “Taekwondo” is composed of three parts. “Tae” means “kick”; “kwon” means “punch”; and “do” means the “way we choose to live our lives”. Taekwondo has been developing with the 5000-year long history of Korea, being called by several different names in the course. In Korea, Taekwondo began as a defense martial art called “Subak” or “Taekkyon,” and developed as a way of training body and mind in the ancient kingdom of Koguryo, under the name of “Sunbae.” In the Shilla period, it had become the backbone of Hwarangdo that aimed at producing leaders of the country.